Built by Us, tailored to you. A simple Add-On to Add your favorite Dynamics CRM Attachments from third-party storage providers. Utilize the near infinite number of XRM.Attachment functionalities to add your favorite attachments. As Admins of the Dynamics CRM organization you will have a full insight of who attaches what and where your attachments go. Thanks PowerXRM for XRM.Attachment. Create and Organize folders, Upload and Remove the files directly on the CRM, while synchronizing your storage. 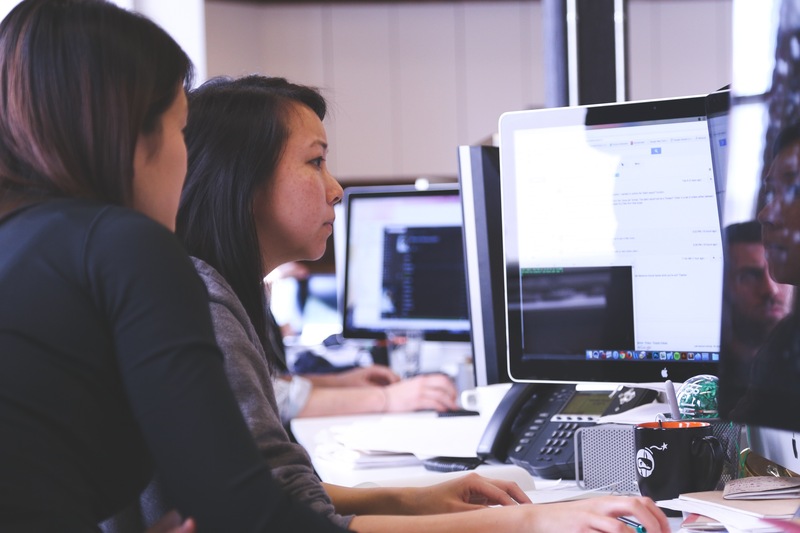 Data replication from the CRM storage is executed on the remote storage, and the users will have the same folder organized as they have on their CRM side. Gain greater visibility into your documents in CRM and extend your documents storage. Store your attachments on the third-party storage (OneDrive, DropBox, Google Drive), directly from Dynamics CRM. Save your CRM space and organise your files. The CRM Attachment reminder that just keeps reminding. You don’t want to lose your Email attachments once an Email has been sent. You can access them on your preferred remote storage provider, whenever you want and need. From a list of all Dynamics CRM Entities that can have attachments choose the once that fit best your business needs. Authenticate between CRM and third party cloud storages (Google Drive, One Drive and DropBox). Built on SOA, flexible in adding other storage providers, while providing safe Authentication with no User credentials kept on our side. 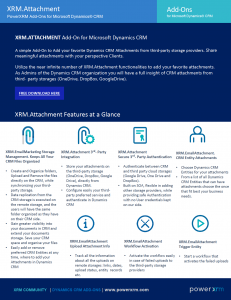 Forget empty meaningful Client conversations, the XRM.Attachment Add-On is powered by Dynamics® CRM (you), and we stand by that.